Which by-law applies to your location? Before starting your project, it is important to know which Oakville Zoning By-law applies to your location. Refer to the maps below to identify the correct by-law for you. Zoning By-law 2014-014 is the new comprehensive zoning by-law applying to all properties in Oakville south of Dundas Street and north of Highway 407. Image of a map displaying the subject lands for Zoning by-law 2009-189. Zoning By-law 2009-189 is also called the North Oakville Zoning By-law. It applies to all properties in the town between Dundas Street and Highway 407. The town’s zoning by-law regulates the use of land, buildings and structures and implements the town’s Official Plan, which directs growth in the town. You can use the interactive zoning map and follow the steps below to determine the zoning of your property and the applicable zoning regulations, such as permitted uses, minimum yard or setback requirements, and floor area and height restrictions. Locate your property using the search tool. Click on your property to determine what zone your property is in and the associated by-law number (e.g. RL3-0 sp:10, By-law 2014-014). Click on View Additional Details and hyperlinks to the zoning regulations will be shown. A minimum setback is the minimum distance required between a building or structure and a property line. Minimum setbacks are also referred to as minimum yard requirements. The minimum setback or yard requirements vary depending on the zoning of your property. Did you know that for corner lots, the shortest lot line is generally considered the front lot line regardless of where your front door is oriented? I would like to demolish and rebuild a new house on my property. What is the maximum size of house I can build? Can I add an apartment (accessory dwelling or second suite) to my home? Based on your building type (i.e. detached dwelling, semi-detached, townhouse) you may or may not be permitted an accessory dwelling or second suite. The zoning by-law regulates where they are permitted, their size, additional parking, etc. For more detailed information, contact the Zoning Section at 905-845-6601, ext. 3955, or by email at zoningrequests@oakville.ca. What are the zoning regulations for an outdoor swimming pool or hot tub? 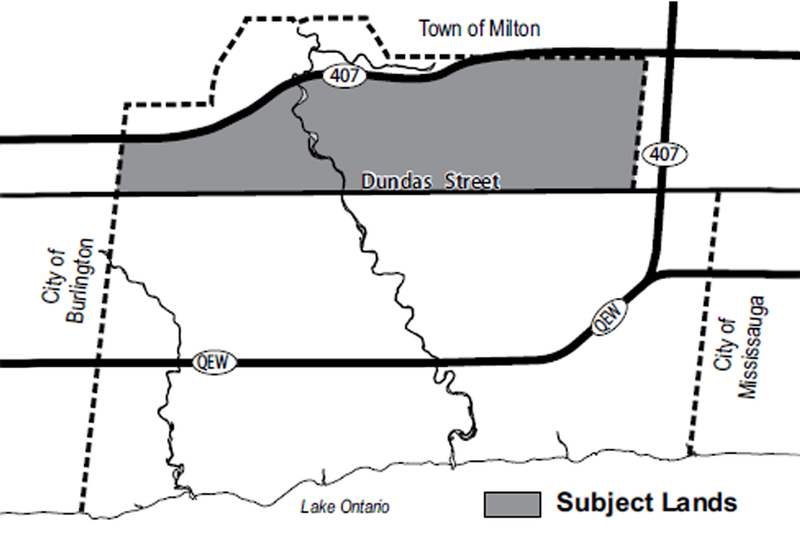 Zoning By-law 2014-014 applies to all lands south of Dundas Street and north of highway 407. Generally, the zoning regulations for properties located in these areas can be found in Part 4, Section 4.16 – Outdoor Swimming Pools and Hot Tubs. 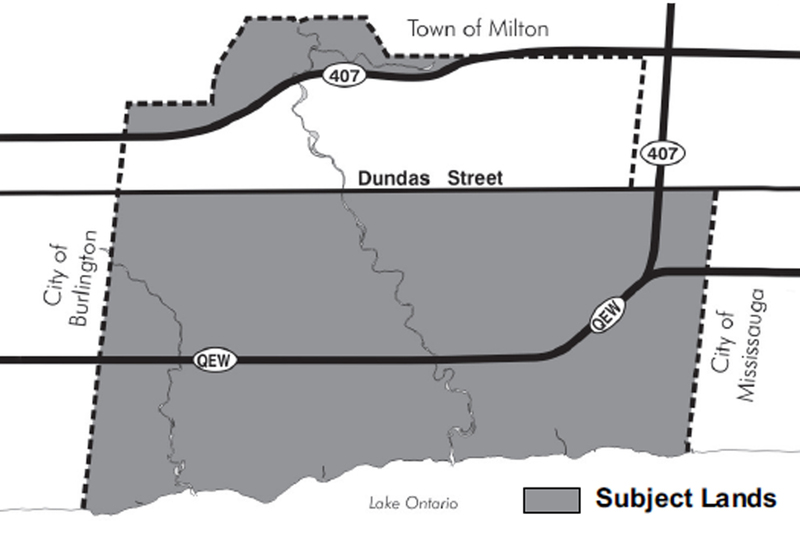 North Oakville Zoning By-law 2009-189 applies to all lands north of Dundas Street and south of Highway 407. Generally, the zoning regulations for properties located in this area can be found in Section 4.24 – Swimming Pools and Hot Tubs. Did you know that swimming pools and hot tubs are also subject to the Pool Enclosure By-law 20016-071, and may require permits? For more information, contact ServiceOakville at 905-845-6601, or by email at service@oakville.ca. Image of a map of the subject lands for Zoning By-law 2009-189. What are the zoning regulations for residential accessory buildings and structures, such as sheds, gazebos, pergolas, cabanas and children’s play equipment? Generally, the zoning regulations for properties located in these areas can be found in Part 6, Section 6.5 – Accessory Buildings and Structures. Generally, the zoning regulations for properties located in this area can be found in Section 4.14 – Standards for Accessory Buildings and Structures. Did you know that a portion of your property may have a Natural Area (N) zone or Natural Heritage System (NHS) zone where accessory buildings and structures are not permitted? You can use the interactive zoning map to determine whether there is a ‘N’ or ‘NHS’ zone on your property. There are zoning regulations for Home Occupations. The zoning regulations for properties located in these areas can be found in Part 4, Section 4.9 – Home Occupations. The zoning regulations for properties located in this area can be found in Section 4.7 – Home Occupation. Did you know that a Zoning Certificate of Occupancy and Business Licence may be required from the Town of Oakville before you start your home-based business? For more information on Business Licences, contact ServiceOakville at 905-845-6601, or by email at service@oakville.ca. What is the maximum driveway width for my residential home? The maximum driveway width varies depending on the width of your property (lot frontage), or the exterior width of your garage. The zoning regulations for properties located in these areas can be found in Part 5, Section 5.8.2 – Driveway Width. The zoning regulations for properties located in this area can be found in Section 4.18.3 – Maximum Driveway Width. Did you know that driveway modifications or curb cutting on town-owned property may require approval from the Development Engineering Department? For more information, contact ServiceOakville at 905-845-6604, or by email at service@oakville.ca. Are there rules for storing/parking my commercial vehicle, trailer or recreational vehicle at my home? Yes, there are rules/regulations in regards to where recreational vehicles are permitted. The zoning regulations for properties located in these areas can be found in Part 5, Section 5.9.1 – Commercial Vehicles; Section 5.9.2 - Trailers and Recreational Vehicles. The zoning regulations for properties located in this area can be found in Section 5.5 – Commercial Vehicles, Motor Homes, Recreational Trailers/Vehicles and Boats. The work I want done doesn’t comply with the zoning by-law. Can I request relief to the zoning by-law for my project? If your construction project is not able to comply with the regulations of the zoning by-law, there is an option to submit a minor variance application to the Committee of Adjustment. A minor variance is a small variation from the requirements of the zoning by-law. For more information, visit the Committee of Adjustment, Minor Variance and Land Division page. It is also recommended that you consult with the Planning department at 905-845-6601, ext. 3955 before submitting an application. What is the process for severing my property into two lots? Each lot being created (i.e. severed and retained lot) must comply with the minimum lot frontage and minimum lot area requirements of the zoning by-law. To determine the minimum requirements, you will need to find out the zoning of your property and the applicable regulations. The process is called Land Division or Consent to Sever Lands and is processed through the Committee of Adjustment. For more information, visit the Committee of Adjustment, Minor Variance and Land Division page. It is also recommended that you consult with the Planning department at 905-845-6601 ext. 3955 before submitting an application. How do I change the zoning of my property? The process to change the zoning of a property is referred to as a Zoning By-law Amendment and is processed through the Planning Department. For more information, contact the Planning department at 905-845-6601, ext. 3955. I need more information on the easement on my property? An easement is a legal right to use another’s land for a specific limited purpose. In other words, when someone is granted an easement, they have the legal right to use the property, but the legal title to the land itself remains with the owner of the land. The Zoning Section does not deal with easements. Consult with your real estate lawyer about the easement on your property. Alternatively, easements are also registered on title and you can contact the Halton Land Registry Office in Milton for more information. For more information on easements in favour of the Town of Oakville, contact ServiceOakville at 905-845-6601, or by email at service@oakville.ca. Do I need a Zoning Certificate of Occupancy for my business? A zoning certificate of occupancy is required when there is a change in the use of land, building or structure from what was previously approved (e.g. changing the use of a building unit from a retail store to a restaurant). You are not allowed to change the use of any land, building or structure until you have applied for and received an approved Zoning Certificate of Occupancy. Did you know that a Business Licence may also be required from the Town of Oakville before you start your business? For more information, contact Service Oakville at 905-845-6601, or by email at service@oakville.ca. Is a zoning approval required to submit a building permit application? In Oakville, you do not need zoning approval to submit a Building Permit application, however a zoning review is the first review of the Building Permit application process. You should review and consider the applicable zoning by-law regulations before planning your project. Do I need to submit a legal survey with my building permit application? A survey may not be required, however, it is recommended to provide a survey as it will assist in the building permit review process to verify the information provided on the site plan such as lot lines, dimensions, etc. After building permit issuance, an "as-built" survey may be required through the building inspection process. What information should be shown on my Site Plan drawing?